Our January pack day was last Saturday, and we had many volunteers come out to help. Boy scouts, girl scouts, church groups, football teams, University organizations- there was no shortage of people willing to help this time around! 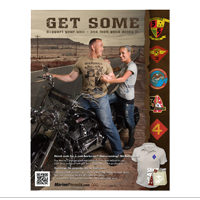 In this issue, we discuss our pack day, as well as the 10th anniversary party after the packing was done, and release another partial list of 2013 Team Marine Parents events. If you know of an athletic event in your area that you would like to try, please let us know, and participate on behalf of our team! We have also included the latest news about a petition drive to modify the 1993 Family Medical Leave Act to add the loss of a child. This issue contains news about a free sports camp for our wounded heroes, and we pass the word about free SAT/ACT prep materials available to military families. Finally, we highlight an experiment taking place at SOI-West on a new type of USMC training. Bitterly cold temperatures in Columbia, MO relented for a day, giving us a sunny and pleasant morning to ship care packages overseas last Saturday. The boxes contained 2 cans of soup to keep or troops warm in the field, thanks to our very successful "souper heroes" fundraising drive. Boxes also included assorted other items, including books, decks of cards, ramen noodles, toothbrushes, and toothpaste. Also included were a total of 8831 hand-written cards and letters to the troops from all over the U.S.
Over 100 volunteers were here to help, including people traveling to Columbia from MN, IN, KS, and MI. Thank you to all the donors and volunteers who helped make this pack day so successful. After the packing was done, it was time to celebrate the 10th anniversary of the Marine Parents organization. 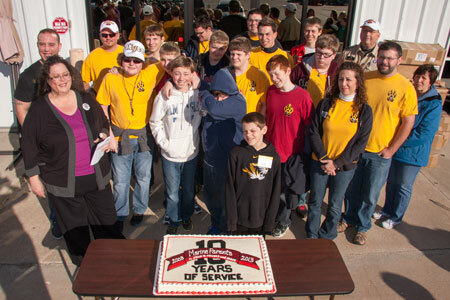 122 volunteers made quick work of a delicious red velvet sheet cake celebrating ten years of service. And people could eat their cake outside if they felt so inclined, in a warm, swirling breeze in front of the corporate office, after taking a photo or two. Registration opens today for the Marine Corps Historic Half, taking place in Fredericksburg, VA on 5/19/13. Also, if you've ever considered running a marathon, this should be the year. 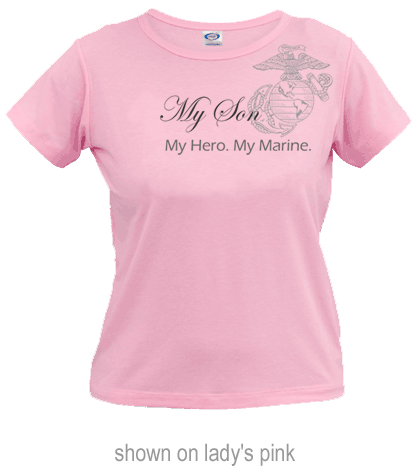 Marine Parents is a charity partner with the Marine Corps Marathon this year, so we are excited to have reserved 25 entries for Team Marine Parents participants. 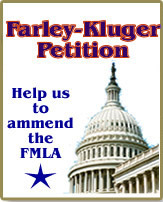 Marine Parents has recently heard from Barry Kluger, one of the organizers of the Farley-Kluger Initiative to Amend the Family Medical Leave Act of 1993 to add the loss of a child. The organizers of this initiative will head to Washington D.C. on the week of February 4 to meet with House and Senate Leadership from both parties to push the initiative forward. Indications are that a bill WILL be introduced on February 5, 2013, the 20th anniversary of the FMLA being signed into law by President Bill Clinton. Senators and Representatives from both parties support the bill, but more co-sponsors are needed. The organizers want 50,000 petitions when they arrive in Washington, and they are now at just over 47,000. This gives us just over 2 weeks to generate 3,000 additional petitions. If you have NOT already signed, please help us to effect this change by signing this petition and forwarding this newsletter to others who might sign. MarineParents has teamed up with eKnowledge.com to provide ACT and SAT test preparation materials to military members and their families for FREE! The goal of this program is to promote education among military families by providing important college entrance exam preparation materials to the children and siblings of military service members at no cost to themselves. This is eKnowledge's 8th year donating $200 SAT and ACT PowerPrep Programs to Military families worldwide. The donation project is in alliance with the Department of Defense (posted on MilitaryHomeFront/MilitaryOneSource, DANTES and DoDEA) and supported by professional athletes from the NFL and MLB. eKnowledge has donated over 200,000 PowerPrep Programs with a value of $42 Million at no profit to the company. The Lakeshore Foundation has announced the dates for its Introduction to Paralympic Sports Camp for injured military personnel. The Introduction to Paralympic Sports camp will be held in Birmingham, Ala., February 20-24, 2013. Travel, lodging and meals are at no cost to the service member. This camp is designed to expose servicemen and women who sustained their injuries post-9/11 to Paralympic sports. The participants will be led by Paralympic athletes and coaches in the sports of archery, biathlon, cycling, marksmanship (air rifle), sitting volleyball, swimming, tennis, track and field and wheelchair basketball. Participants also will have instruction on nutrition and strength and conditioning. In an ongoing attempt to increase the performance of Marines while simultaneously reducing the strain they are under, the School of Infantry West at Camp Pendleton has begun a new 8 week experimental training course. Building on an earlier experiment, the program will compare responses to high stress situations in groups of Marines exposed to either mindfulness training or other mental training methodologies. Mindfulness is a Buddhist-inspired concept that utilizes meditation and yoga techniques to focus the mind. 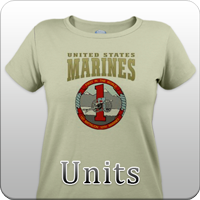 The banner photo is a Marine Corps photo taken 12/29/2012 by Cpl. Alejandro Pena. NOW ZAD, Helmand, Afghanistan - U.S. Marines assigned to Police Advisory Team 5, 2nd Battalion, 7th Marine Regiment (2/7) conducts live fire training near Combat Outpost Now Zad, Dec. 29, 2012. The Marines of 2/7 conducted live fire training to maintain operational readiness and proficiency.